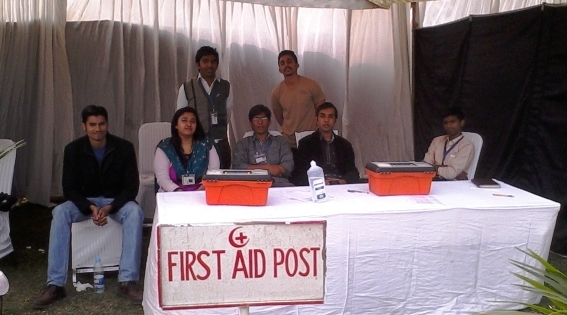 This year RCYG arranged First Aid Desk at the Pet Show and Annual Athletics Championship on the request of Earth Watch Club and the FCC Sports Department. The students dealt with one dog bite on the Pet Show and 11 emergencies at the Athletics Championship. After this experience, the Emergency Services’ volunteers feel that pet owners should get their pets vaccinated and athletes should not play bare footed in the ground.